You’d best watch yourself, stranger. There are a few things you just don’t do: You don’t pull on Superman’s cape, you don’t spit into the wind, you don’t pull the mask off that old Lone Ranger, and you don’t mess around with Slim. Oh, and you don’t get between fighting rams: (Before watching, make sure to turn down your volume for the loudest child’s laugh ever recorded). Those silly sheep; that car is clearly not a Ram. It actually looks more like a Toyota. The fact that the sheep is able to smash the front of that car so much is hardly surprising, though. Most modern bumpers are made of plastic. Also, U.N. regulations (which most countries use) only requires that a corner bumper withstand an impact of 1.6 mph (2.5 km/h). In the U.S., requirements are even weaker since 1983 – the corner only needs to withstand a collision of 1.5mph (2 km/h). More scientific readers will recognize this as about half the normal human walking speed (3.1 mph). 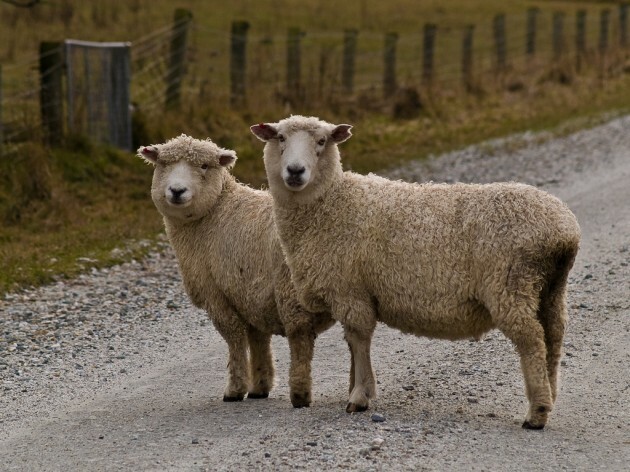 Since the top speed of Ovis Aries (domestic sheep) is around 25 mph, the driver of the Toyota should be happy that the sheep was as short as it was – if a small projectile like a rock can crack a windshield, then an 80-pound flying ball of bleating fury would certainly do some damage.